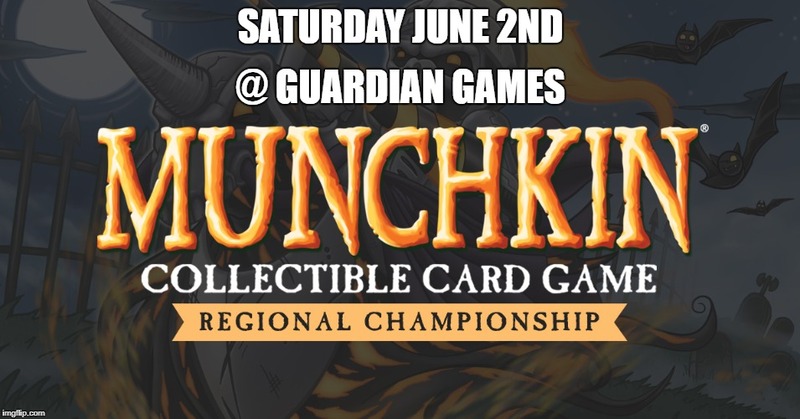 Please join us for a Munchkin Collectible Card Game Regional Championship Tournament! Constructed format. Swiss pairing rounds with a cut to top 4-8-16 depending on participation numbers. The top 16 players at each Regional event will get an exclusive branded token bag. Top 8 will get a poker chip-style Runaway token, and a full set of all six oversized Heroe cards (5.75”x3.5”). Top 4 will get an exclusive event playmat. We’ll also personally profile your deck on the Daily Illuminator, if you’re up for it. Top 2 will get an acrylic 5.75”x3.5” Hero sleeve, plus seats at the National Championship Tournament. The winner of each event will also get a handcrafted acrylic alternate-art level dial, and a playmat proclaiming them a Champion. 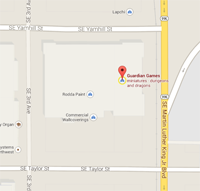 There are only two ways to qualify for the National Championship: Top 2 in a Regional, or rank high enough in the 2 qualifying tournaments we’re running at GenCon.